"Community life manifests the presence and love of Christ, the centre of our life." It seems to be hard-wired into human nature: from papyrus scrolls and scratchings on clay tablets to posts on Facebook, people keep creating new and ingenious ways to communicate. At the heart of communication is not the transmission of a message or an idea, but a giving of self that involves the whole person. This is where the mission of the Daughters of St Paul finds its greatest expression. Each sister contributes to the life of the community, bringing unique and unrepeatable gifts of nature, grace and culture. Even our vows (the typical religious vows of chastity, poverty and obedience) have a certain 'Pauline' character to them. In chastity, we open our hearts to all people to share with them 'the surpassing knowledge of Jesus Christ' (Phil 3:8). Poverty teaches us that we can depend on the Lord to provide for our needs (2 Cor 9:10). This confidence in God gives us the freedom to put the proclamation of the Gospel at the forefront of our activities, and challenges the ever-present modern temptation to workaholism. Obedience draws us out of ourselves as we use our gifts, not for self-promotion or personal achievement, but in shared efforts for 'the glory of God and peace to humanity' (cf. Lk 2:14). 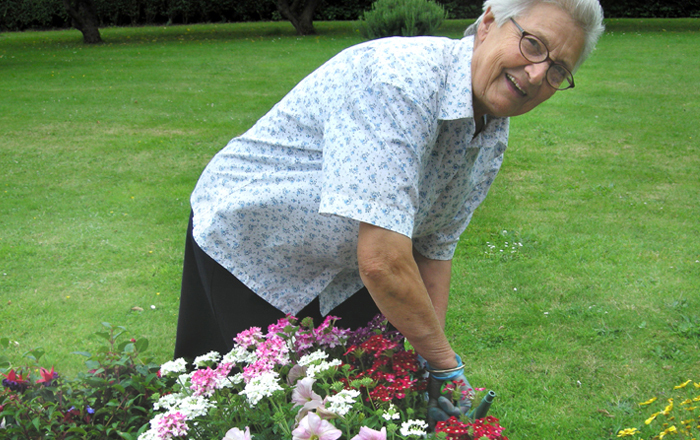 In a family spirit we share the practical tasks involved in maintaining a household, yet in a recollected atmosphere that promotes communion with God and sensitivity to the sisters and brothers he sends our way throughout the day. "Poverty is the greatest wealth. Chastity is the greatest love. Obedience is the greatest freedom." Our media ministry, with its stress on outreach, puts us on the ‘peripheries’ (to use a term dear to Pope Francis). On the high streets of major cities, a bookshop would not appear to be a sacred space. The peaceful atmosphere may be the first hint that this is not a typical retail location, but a place of encounter. In this unlikely setting, our community life is shaped by the needs and demands of the mission, and in turn enriches that mission. 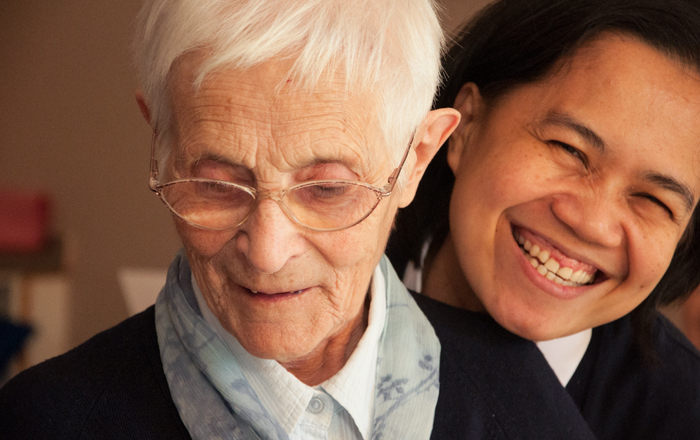 Our outreach communities, composed of sisters of various nationalities, are close-knit. We do not simply live in the same place or work side by side: each sister makes her unique contribution as we share daily prayer, household tasks, meals, joys and sorrows, achievements and disappointments. Our community life is at the same time consistent and flexible, ready to respond to needs and opportunities as they present themselves to us in the signs of the times, in the newspaper headlines, in the requests from pastoral leaders and the people we meet. "Pray the Lord of the harvest to send workers to his harvest!" At each stage of life, the Daughter of St Paul knows that she lives at the heart of the congregation’s mission, whether that role is carried out through the work of her hands, the prayer of her heart, or the offering of her limitations. We gratefully acknowledge the debt we owe these sisters who laid the foundations for future generations to build upon. At each stage of life, the Daughter of St Paul knows that she lives at the heart of the congregation's mission, whether that role is carried out through the work of her hands, the prayer of her heart, or the offering of her limitations. We gratefully acknowledge the debt we owe these sisters who laid the foundations for future generations to build upon. 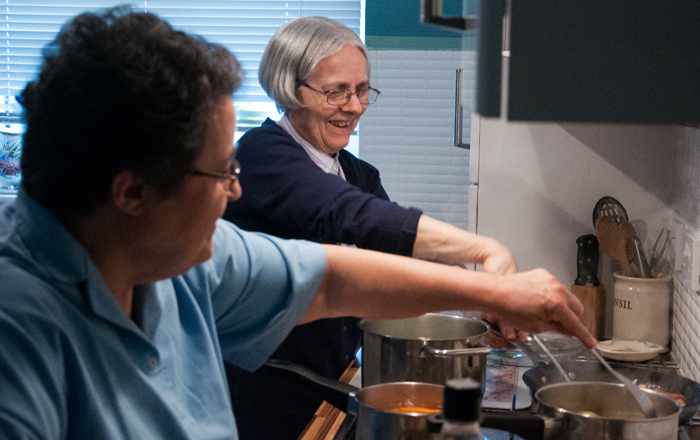 In a family spirit we share the practical tasks involved in maintaining a household, yet in a recollected atmosphere that promotes communion with God and sensitivity to the sisters and brothers. We welcome inquiries from single women who are exploring a life of consecration.